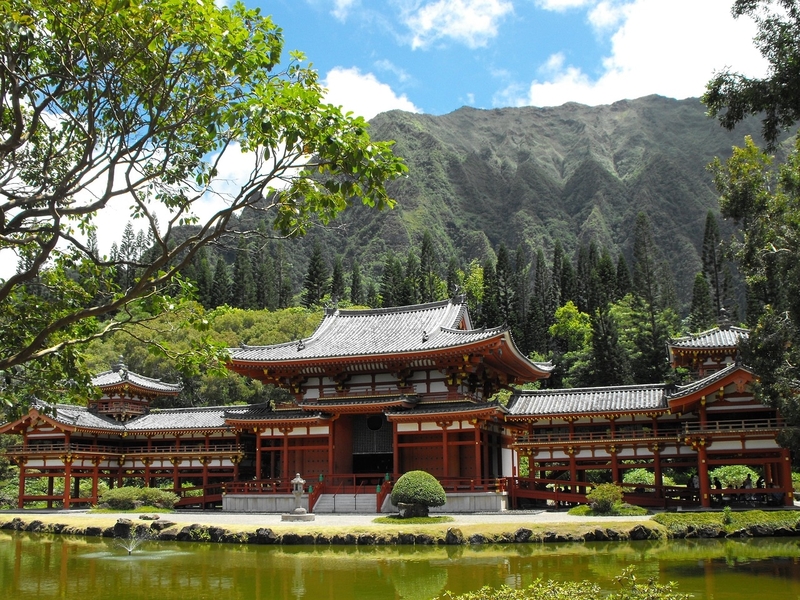 A drive around Oahu to the North Shore is the perfect way to explore all the adventures around Hawaii’s most exciting island. 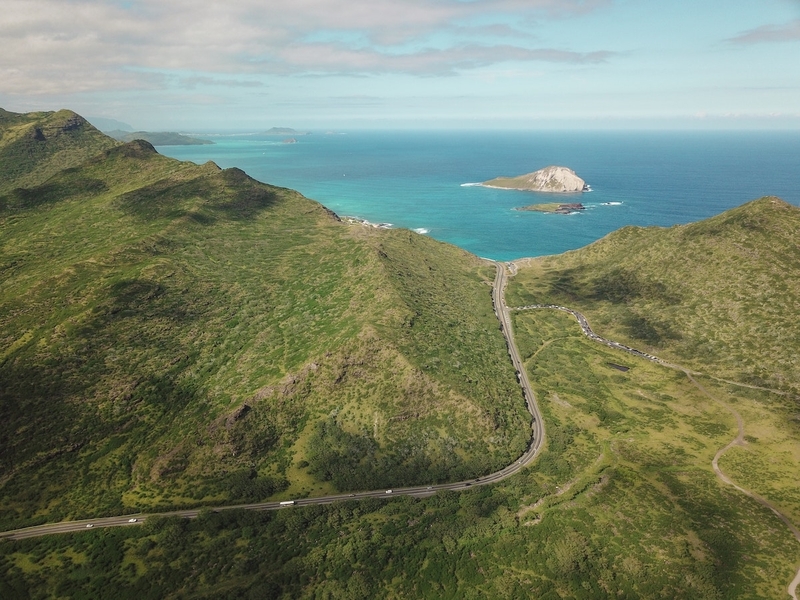 If you have a car, road tripping around the island is the best way to really get to know the different sights and flavors of Oahu. Oahu is small enough to get around in one jammed packed day but it can get a little tiring jumping in and out of the car all day. Consider picking and choosing some of the following attractions to stop at along the way. 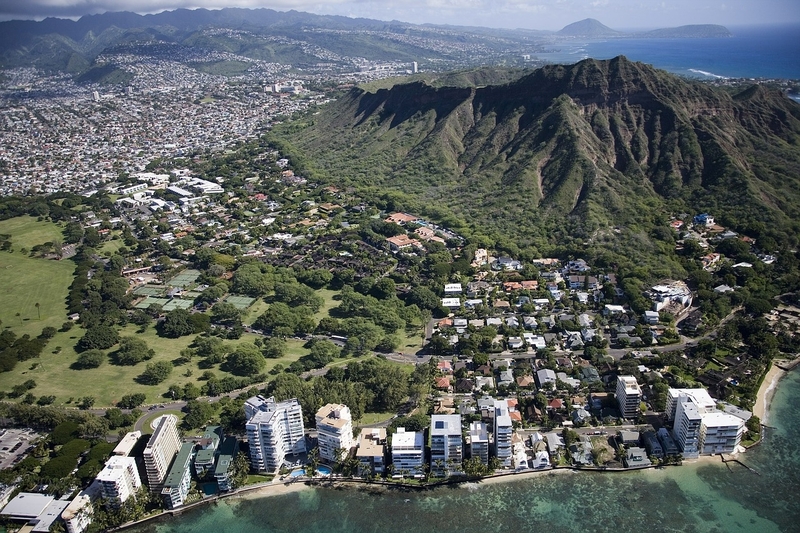 Although you can drive around Oahu in either clockwise or counterclockwise around the island I recommend counterclockwise from Waikiki heading towards Hawaii Kai on H1, that way you are directly next to the water as you drive around the island. It’s also best to start early on in the day to beat the other travelers heading in this direction. My first stop on a drive around Oahu is just outside a Waikiki. Every road trip needs fuel and Leonard’s Bakery’s malasadas (Portuguese doughnuts) always do the trick. I love the guava and lilikoi (passion fruit) filled malasadas. Mmmm. They also have a number of other tasty baked goods. 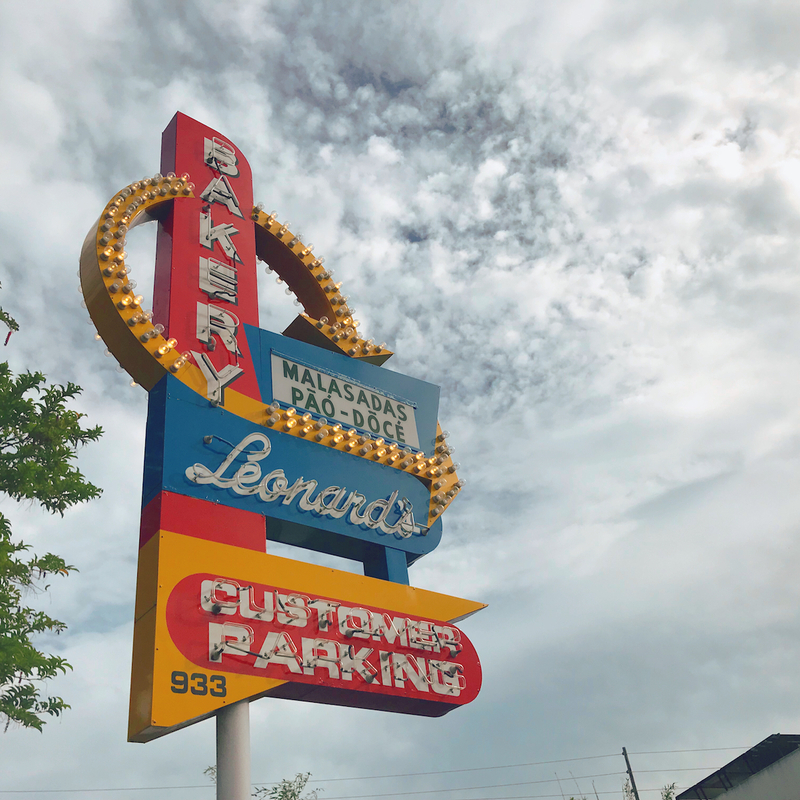 Read more about Leonards Bakery. 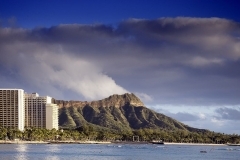 Diamond Head State Monument Hike (Le’ahi) is best left to its own day of sightseeing because of its close proximity to Waikiki. 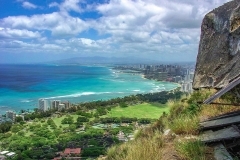 This 2-hour moderate/hard hike takes you to the best view of Waikiki and is a must do hike for any first-time visitors. There’s way too much to list here on this road trip read more about Diamond Head here. After a quick photo of Diamond Head drive east on H1 which quickly turns into Kalanianaʻole Hwy. 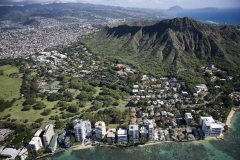 Cruz passed the town of Hawaii Kai to the Koko Head District Park. 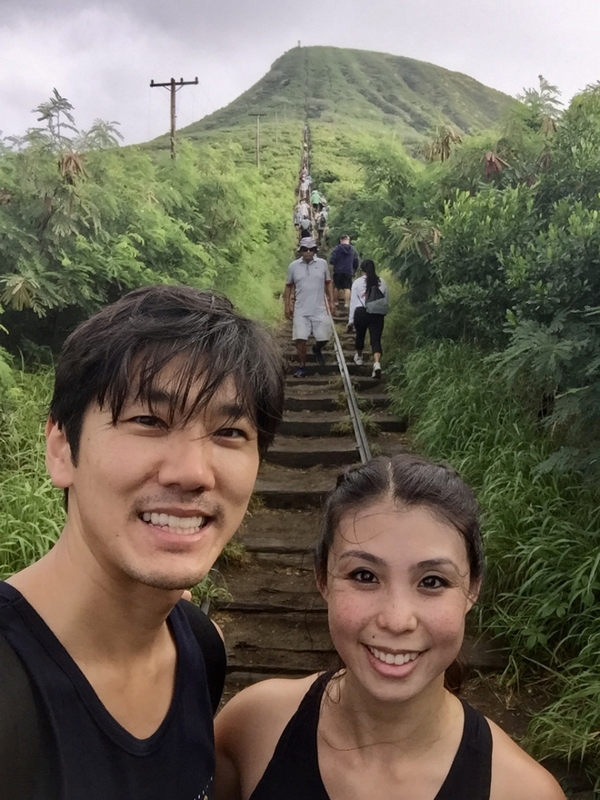 If you’re up for the challenge and have 2 hours to spare the hike up Koko Head Crater Railway it’s another one of my favorite hikes. This hike yields amazing 360-degree views of Diamond Head, Hanauma Bay, and Makapu’u Light House Trail. 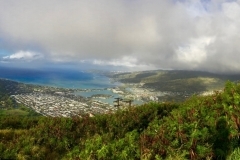 Otherwise, stop by the lookout point on the left for an amazing view of Koko Head Crater and the trail. Try and make out the hikers climbing those 1000 steps to the top of Koko Head and you’ll likely hear the sound of the local gun range Koko Head Shooting Complex at the base of the crater. 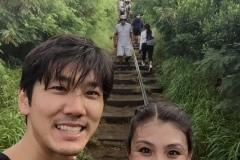 Read more about Koko Head. Just passed the Koko Head lookout is the turnoff for Hanauma Bay. I suggest that this is best left for another day as the drive around Oahu is a long and you could and should spend a day snorkeling and sunbathing in the bay. 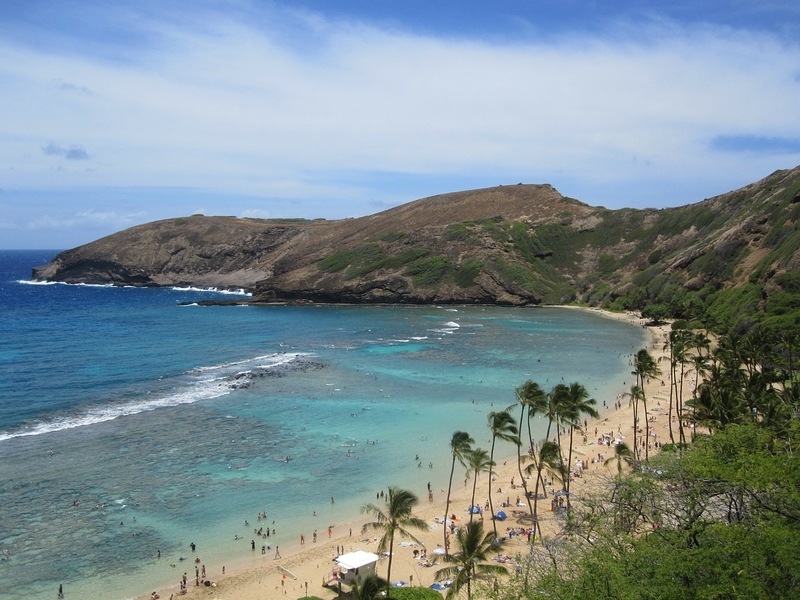 Read more about Hanauma Bay. Sandy Beach lies at the base of Koko Crater and is known for quite a strong shore break that closes the beach of to swimmers at times and in addition, the beach is known for extremely fine sand that gets into places you might not want it to. However, there is loads of parking and I suggest driving down aways to get away from the crowds. Makapu‘u Point Lighthouse Trail is next on the road trip and is a 1.5 mile out and back trail that features a lighthouse that protects the windward coast of Oahu. The trail is paved the whole way and is great fun for all ages and has a 500 ft elevation gain. Keep in mind that the trail is in full sun the whole way so bring hats, sunscreen, and water for a 1 hr + leg hike. Read more about the trail here. A great vista along the southeastern tip of Oahu is Makapuʻu Lookout on the right just past the Makapu‘u Point Lighthouse Trail. 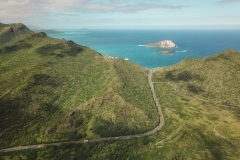 This stop features views of Rabit Island (Manana Island), Makapuʻu Beach (a great sunrise spot), and Sea Life Park Hawaii (a marine mammal park, bird sanctuary, and aquarium). There is a parking lot with a wheelchair accessible ramp and ample space to view the coastline. You can’t see the lighthouse from the lookout point that is reserved only for those who hike the Makapu‘u Point Lighthouse Trail. From here we head north to do some relaxing on one of my favorite beaches, Lanikai Beach “Heavenly Sea” in the town of Kailua consistently ranks high on the world beach rankings and it’s easy to see why. This 1/2 mile long stretch of beach is great for swimming, kayaking, SUP, canoeing, tanning and has a wonderful coral reef perfect for snorkeling. A downside of the beach is it can get very crowded during peak season and parking can get a little tricky. A lookup behind Lanikai Beach you can see the Pillbox Hike (Kaiwa Ridge Trail). 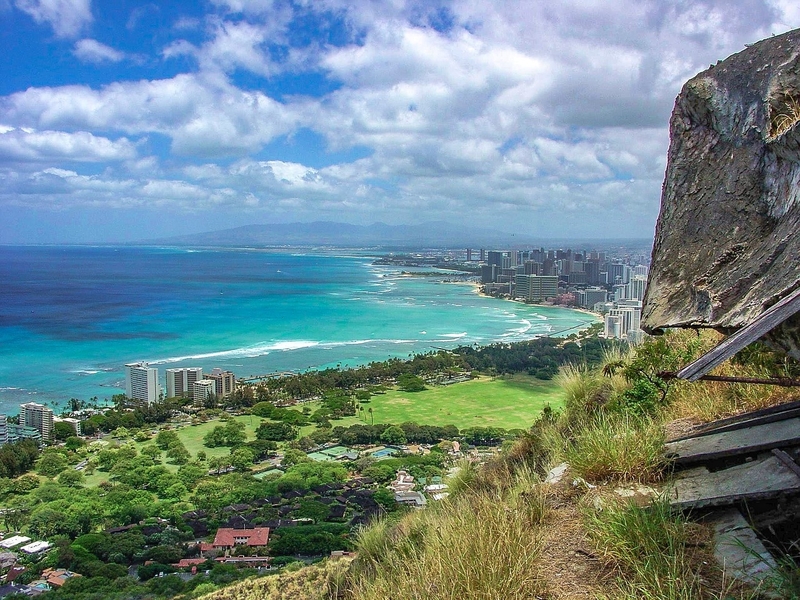 This moderate 3.2-mile hike is one of the post pictures hikes on all of Oahu as it overlooks Lanikai and Kailua. The best time to do this hike is sunrise or soon thereafter as this hike is fully exposed to the sun. Be sure to bring lots of water and a hat. 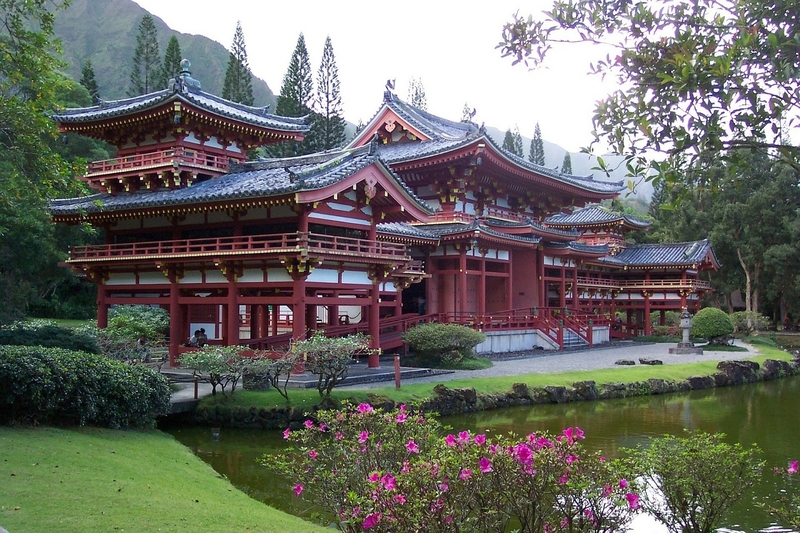 A little off beaten track this non-denominational Buddhist temple which welcomes people of all faiths to worship, meditate or simply appreciate its beauty. The gardens around the temple are meticulously cared for and koi pod holds hundreds of koi begging for some food which you can pick up at the tea shop. 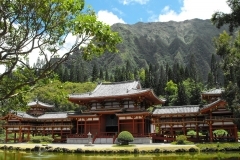 You’ll need to remove your shoes if you want to enter the temple and visit the nine-foot Amida or “Lotus” Buddha. No drive around Oahu to the North Shore is complete without some shrimp scampi from Giovanni’s. My foodie friend Monica tried all the shrimp trucks on the north shore and still, Giovanni’s is the best. Don’t fool around, get the scampi from Giovanni’s. In the winter these legendary beaches turn into world-renowned surfing meccas that together combine to create the famed Triple Crown Surfing Contest. Watching surfers take on these huge (15-30ft) waves is something that I could do for hours. In addition, the sunsets are amazing so I would understand if you called it a day at one of these beaches. In the summer the water becomes flat and many of the beaches turn into wonderful snorkeling spots. Please exercise extreme caution around the water on the north shore. One of my favorite spots on this drive around Oahu and one that I always find my self during sunset is Pupukea. My wife and I enjoy tide pooling and snorkeling and this is a great spot to do both. The natural break wall makes the water here calm even in the winter and traps in all kinds of fish making it fun for families to see wildlife up close and personal.